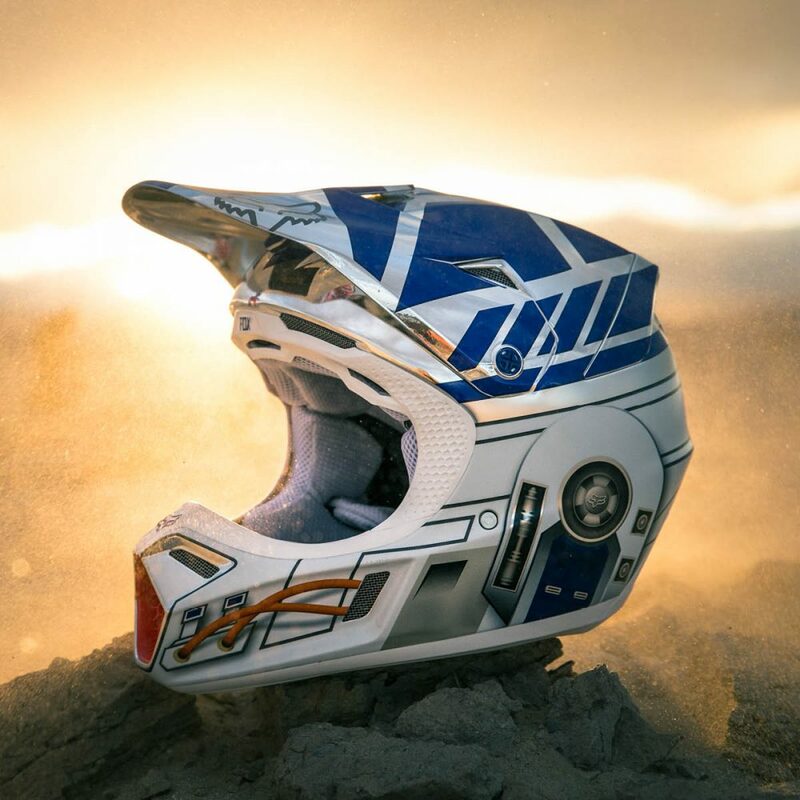 Fox Racing has introduced two limited edition Star Wars helmets, with a third release to drop prior to Star Wars: Rogue One. Representing the light side is an R2-D2 helmet, with details that match the popular droid including Artoo’s radar eye, access panels, and holoprojector. For the dark side, the infamous Boba Fett, gets the nod with a battle-worn Mandalorian armor. 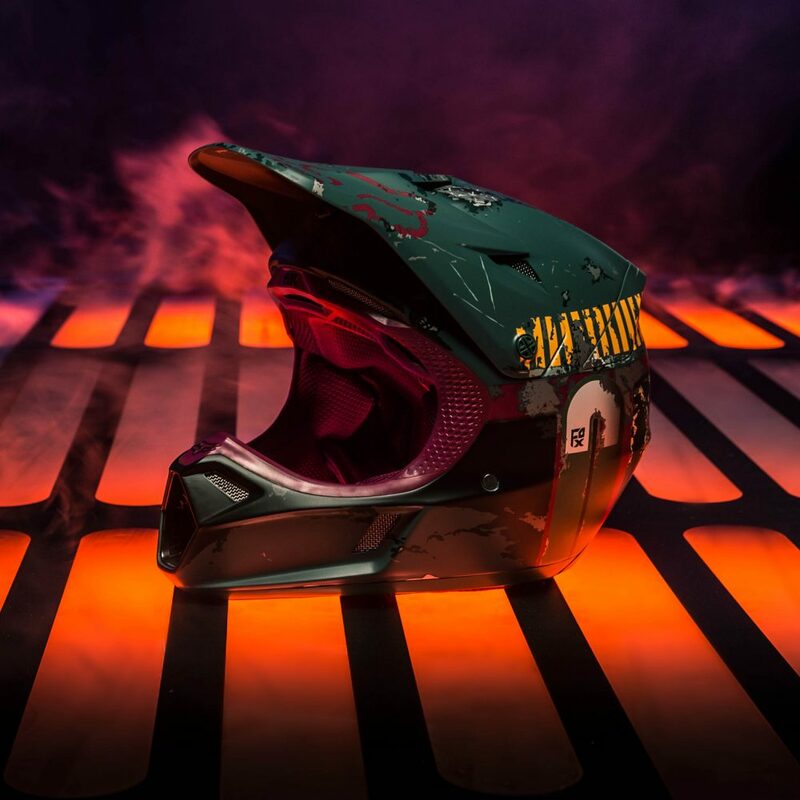 The helmet features his signature color scheme and detailed battle damage. The helmets are available in two models: Fox Racing’s premier V3 and the entry level V1 youth helmet. 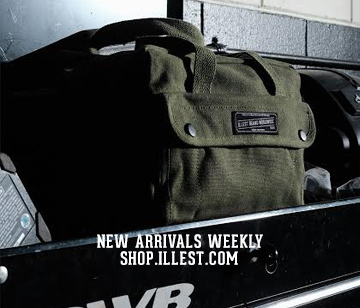 The helmets come in a special hard box and are numbered with a unique serial number and certificate of authenticity. The Fox Racing V3 R2-D2 Helmet and V3 Boba Fett Helmet are priced at $1000 with the V1 Youth versions priced at $200. Those helmets look so dope! I really like this helmet, is it possible to order it? And how much it will be to post it in the UK. Really want this for my boyfriend for his birthday on 6.11.